Wear an Auburn shirt on The Price Is Right and you will win big. “Got a lot of Auburn fans in the crowd?” host Drew Carey asked after Sumners, wearing one of one those Auburn baby on board shirts–she’s expecting a child in July–joined him on stage. 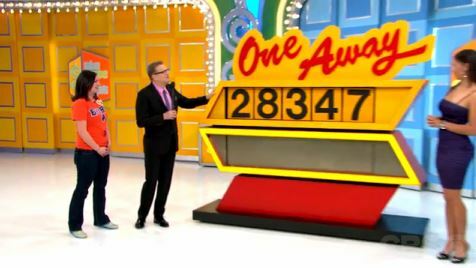 Summer won the Jetta by picking the right price of the car in the show’s One Away game. Seemed like it was pretty much destiny: the first four numbers she started out with–2834–just happened to the score of the Iron Bowl. You can watch the full video of Sumner wining the car here. Related: ‘Amazing Race’ contestant Brittany Fletcher no stranger to television—watch the Auburn grad win “The Price Is Right” on her 18th birthday.